Applying makeup to dry skin can feel like trying to blend foundation into sandpaper. Makeup is designed to be applied to smooth, hydrated skin. When your skin is dry, makeup does not absorb well and sits on top of your skin and creates a papery, unnatural finish. Makeup on dry skin is much more likely to look patchy or cakey throughout the day as flaky skin sloughs off or clumps together. Whether winter air is sucking the moisture out of your skin or you are chronically flaky year round, dry skin is an extremely frustrating condition that doesn’t mix well with dry skin. If you have dry skin, that doesn’t mean you have to give up on ever achieving the smooth, natural makeup look that seems to come so effortlessly to women with other skin types. You can manipulate your regular skincare and makeup routine to hydrate your skin more effectively and free yourself from flakes and patches for good. Washing your face is the vital first step in your makeup routine. The products you use to wash your face can make a big difference in the quality of your skin and how well it absorbs your makeup. 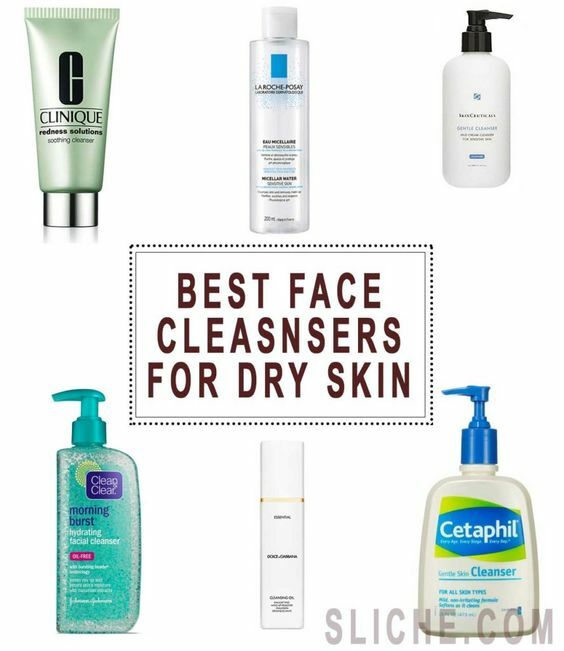 If you have dry skin, it’s important for you to pay special attention to the cleanser you use. Cleansers designed for normal or oily skin are generally too harsh to use on dry skin. Look for a foam cleanser or cleansing milk. Foam effectively penetrates your skin to clear dirt and debris but is also gentle enough to cleanse without stripping natural oils or causing inflammation. Cleansing milk gently removes makeup and dirt while maintaining your skin’s natural moisture balance. 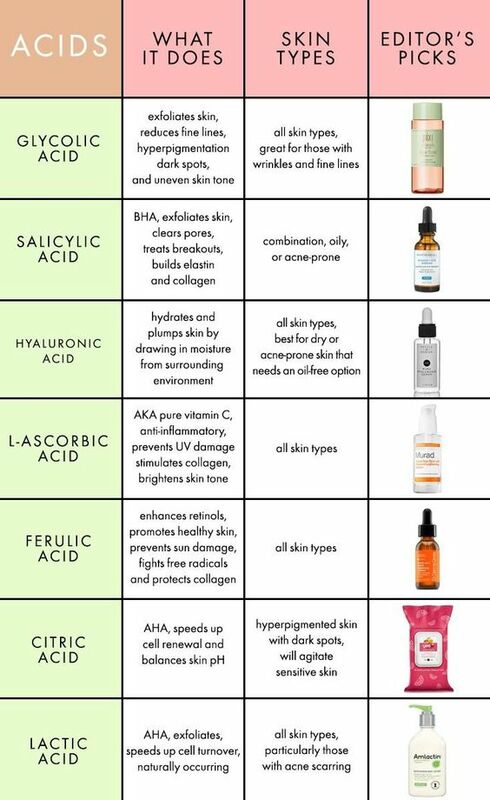 Incredible Best Facial Sprays for all skin types. Special ingredients within these facial sprays help with common skin issues such as dry, oily, and dull skin. The post Best Facial Sprays for al ..
Hydrating prep sprays, toners, and setting sprays work wonders for refreshing dry skin. Dry skin is easy to irritate. Constantly making contact with your skin with your fingers or a makeup brush tends to just make dry patches even more noticeable. Misting your skin with a hydrating spray can instantly refresh your skin and minimize the appearance of dry, flaky areas. 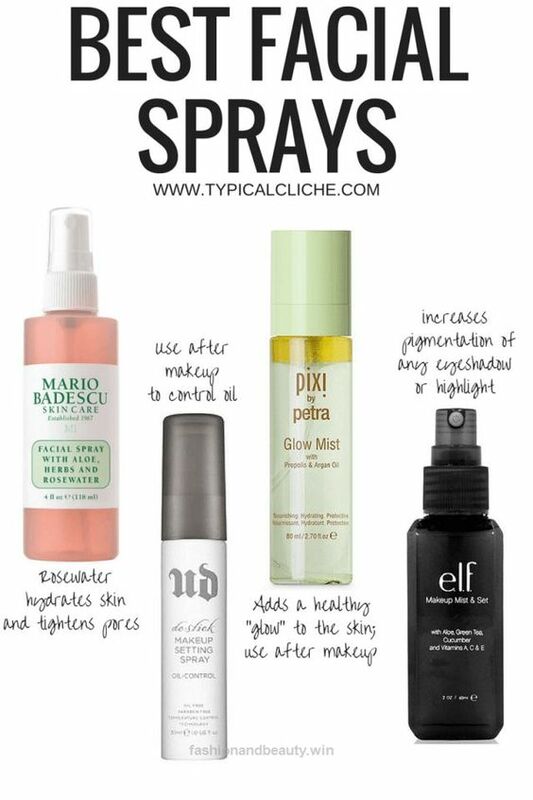 Start and end your makeup routine with a liberal application of prep and/or setting spray designed specifically for hydration. Keep a hydrating toning spray in your purse to spritz on your skin if you notice more visible dryness show up throughout the day. 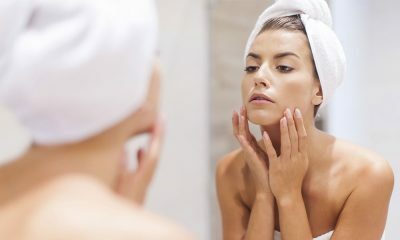 If you have dry skin, chemical peels can either be your best friend or your worst enemy depending on how you use them. Chemical peels can be transformative for dry skin because they effectively slough off layers of flaky, dry, skin and leave only smooth skin behind. However, the ingredients in these peels are very harsh and can also make dehydrated skin even more dry. Be careful with chemical peels. Use them sparingly, not as a part of your everyday skincare routine. If you have sensitive skin, dilute the peel with hydrating toner or moisturizer before you apply it to minimize irritation. It’s common knowledge that moisturizing is key for keeping dry skin hydrated. However, moisturizing won’t have much of an effect if you don’t do it correctly. Many women who maintain ineffective moisturizing routines get very discouraged when their skin hydration efforts seem to be in vain. Keeping up with an effective moisturizing regimen is actually not overly difficult or time-consuming. Always apply your moisturizer when your skin is damp. Moisturizer absorbs more easily into wet skin to hydrate it more deeply. Also, don’t moisturize your skin evenly. Pay attention to which areas of your skin tend to dry out and which areas are more oily and apply moisturizer accordingly. This prevents you from ending up with partly dry, partly shiny skin halfway through the day. For women with normal or oily skin, using multitasking skin makeup products like tinted moisturizer and BB cream can be a great way to shave some time off their daily makeup routine. 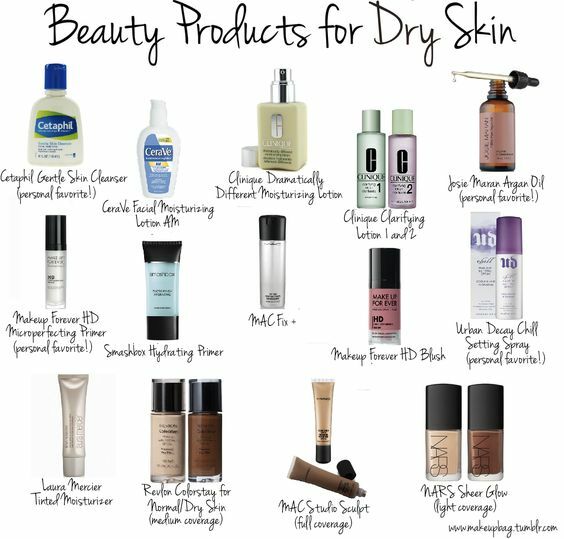 If you have dry skin, don’t expect makeup that includes moisturizing ingredients to sufficiently hydrate your skin. There’s nothing wrong with using tinted moisturizer or BB cream in place of foundation when you want sheer, natural coverage for your skin. 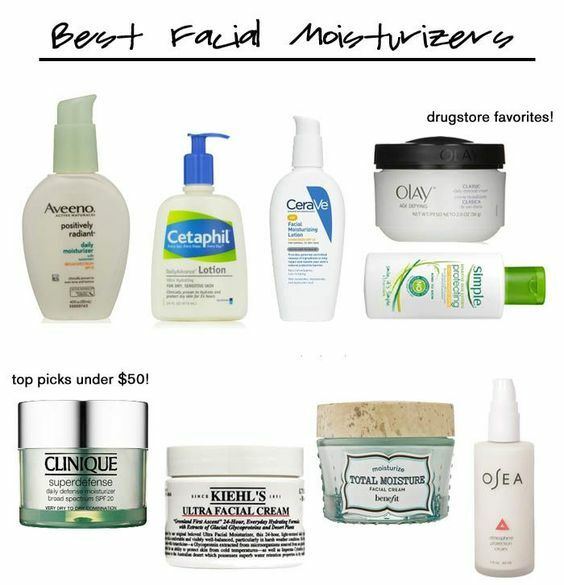 Using these products in place of real moisturizer, though, will just leave you with a flaky, patchy finish. Moisturize your skin to create a smooth canvas before you put any other makeup on your skin. Many women choose to apply foundation, concealer, and other skin makeup products with their fingers. Not only is this an unsanitary practice that can lead to breakouts, it also makes dry skin more obvious. Fingers make harsh makeup tools and are known to irritate flakiness and exacerbate dry patches. Makeup brushes are designed to be rubbed across your skin. Quality brushes are gentle enough to distribute product across your face without aggravating your dry skin. 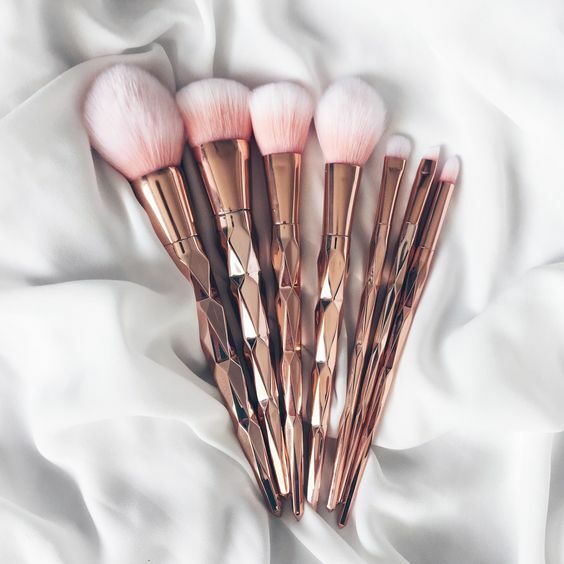 Choose makeup brushes with soft bristles that don’t irritate your skin. If you use a makeup sponge to apply concealer or foundation, press it lightly against your face to distribute product instead of dragging it across your skin. One of the most frustrating parts of dealing with dry skin is flakiness. Flaky patches on your face disrupt the smooth texture of your skin and create a rough, papery look. Plus, these flaky areas become even more obvious when you cover them in makeup. When you don’t have time to slough off dry, dead flakes with exfoliation, you can use tweezers to pull flakes away to reveal the smooth layer of skin beneath them. Only tweeze off flaky patches of skin that are already dead. Trying to rip live skin away from your face can cause severe damage and will only leave your skin looking red and irritated. 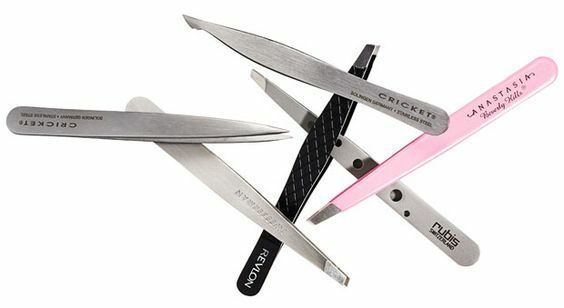 If you’re not sure whether or not you should tweeze a flaky patch, it’s better to be safe than sorry. Put the tweezers away and massage an extra layer of moisturizer into the area instead before applying any makeup. Dry skin is tough to handle. Most other common skin conditions can be easily concealed with makeup, but many women are discouraged to discover that applying makeup to dry skin only makes flakiness and rough patches become more obvious. However, it is possible to mix makeup and dry skin with positive results. Use the tips in this post to outsmart your dry skin and end your daily makeup routine with a smooth, hydrated finish every time.